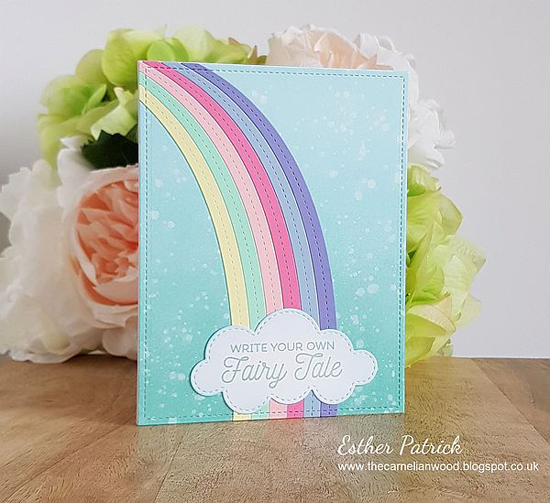 Amanda created this sweet card as an entry for our Card Design Superstar Contest last year, and as we hope for spring, it seemed like the perfect time to share! Two adorable characters from the Somebunny stamp set have a big bouquet of love (created with the Build-able Bouquet stamp set and Die-namics) for the recipient of this card. 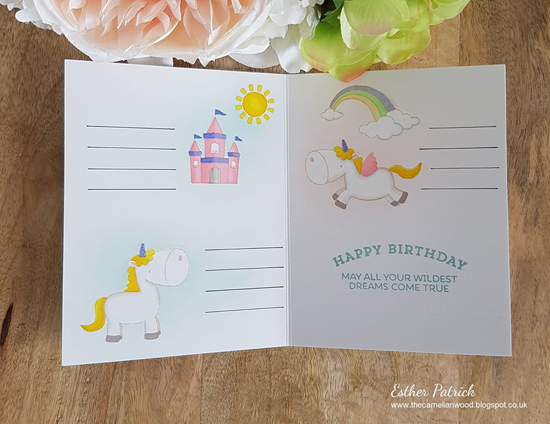 Esther created this enchanting interactive card for a child using the Magical Unicorns stamp set and End of the Rainbow Die-namics. Her intent is to allow the recipient to practice her creative writing with the image prompts. Sooooo clever! 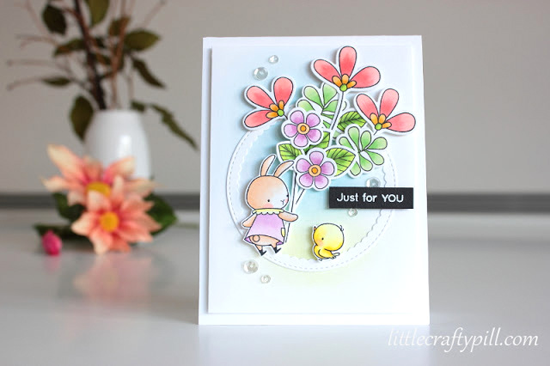 Koren's high contrast card is simply lovely with her tone on tone use of our Mini Modern Blooms stamp set. 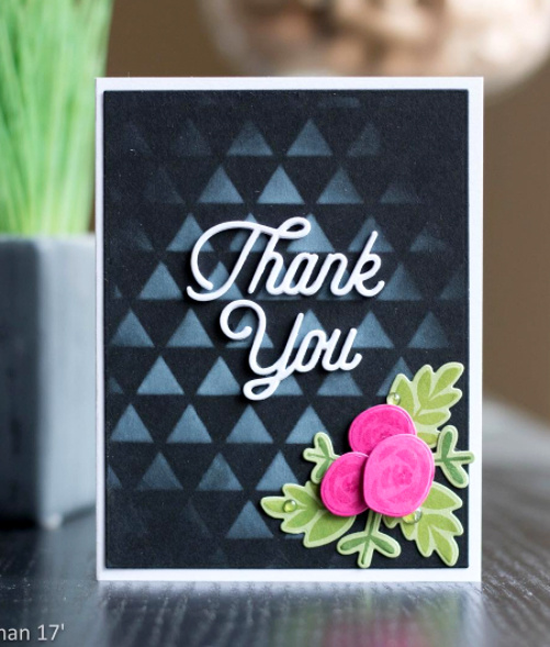 Her use of the Twice the Thanks Die-namics for the sentiment is the perfect finishing touch for her design. 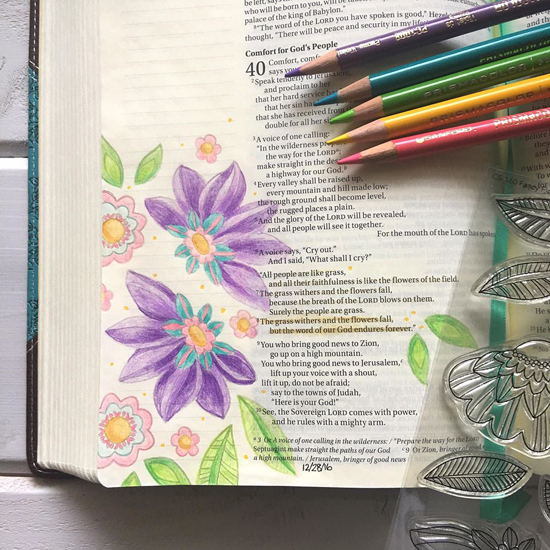 Kimberly Crawford created a lovely entry in her journaling Bible in conjunction with Isaiah 40 with the Fancy Flowers Card Kit. It's a fitting and gorgeous way to highlight the verse that reads, "The grass withers and the flowers fail, but the word of our God endures forever." 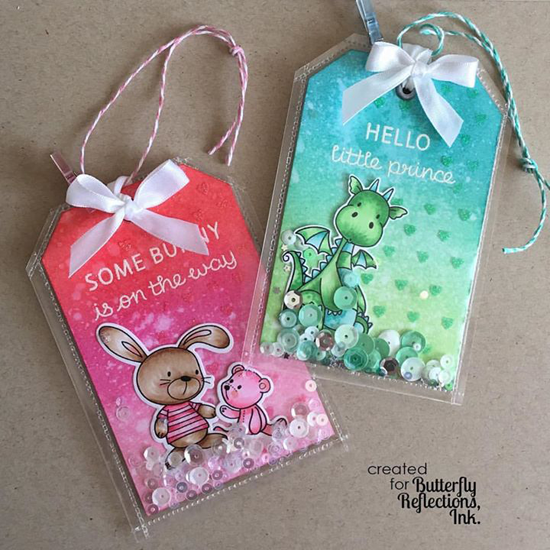 Kim Hamilton created these simply ADORABLE shaker tags using our Magical Dragons and Snuggle Bunnies stamp set. I can't EVEN with these! Thanks for using MFT, ladies! You've left us inspired, and that's what it's all about! See you tomorrow for another great Sketch Challenge, and look for the next MFT Color Challenge on Thursday, January 26th. Thank you for the spot! Wow; they're all so beautiful and inspiring.